An icon in the Chobe area, Chobe Game Lodge is the only safari lodge to be situated within the Chobe National Park. 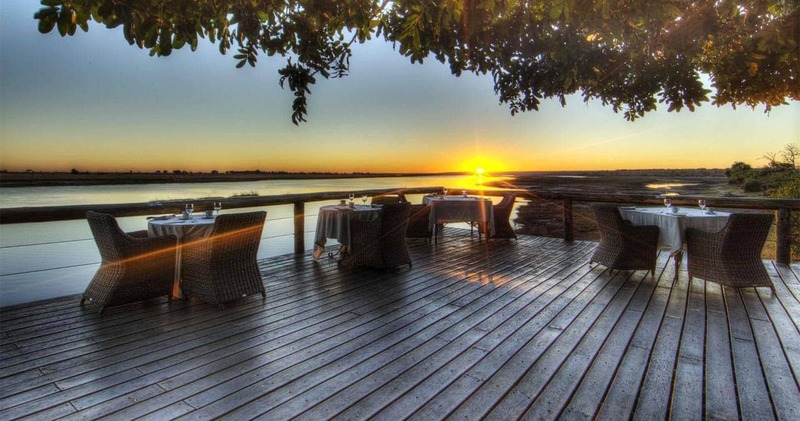 A hard to beat location, directly on the game rich Chobe River, Chobe Game Lodge has unhindered views of the river - and beyond - from the luxury boardwalk deck. But, there is more: get an even broader view of Africa’s overwhelming nature splendor and visit the Victoria Falls: only a 90 minute road transfer away. 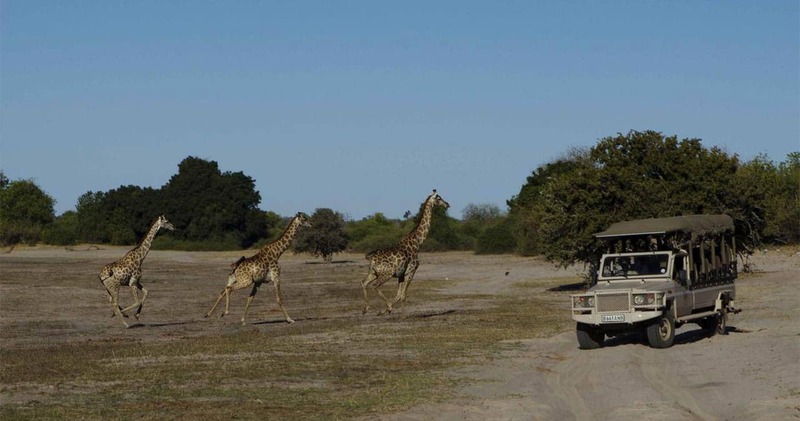 For those who stay at Chobe Game Lodge for four days or more, the dedicated guides would love to take you on an excursion to really get to know the environment. Venture out for a full day to experience a rich game and cultural adventure, as you will also visit the local village, farmers and basket weaving community. A traditional lunch is served in the middle of the bush and the day is topped off with cold, locally brewed beer in the warm light of sunset. Upon returning to the lodge after any safari activity, you will feel like entering your second home; a warm place, radiating decades of experience in hospitality and pampering. The 47 hotel-style lodge retains a nostalgic ambience and is set in beautifully mature gardens. 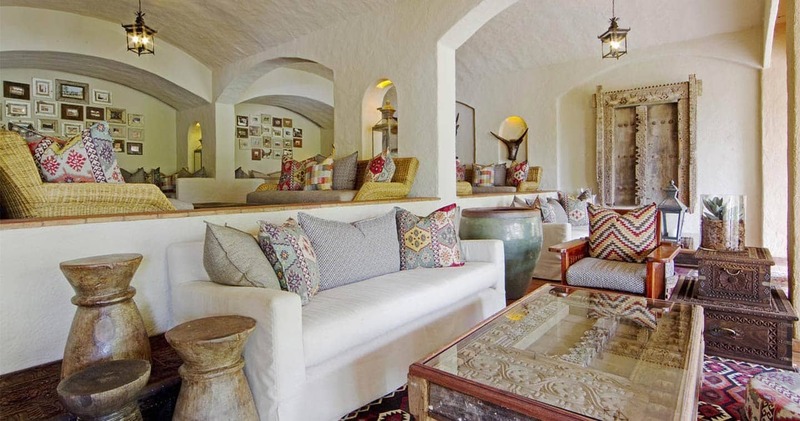 Put your feet up and feel at home in this classic safari lodge with mystic African touches, such as Bedouin-style lanterns and big lounge areas with beautifully patterned pillows. 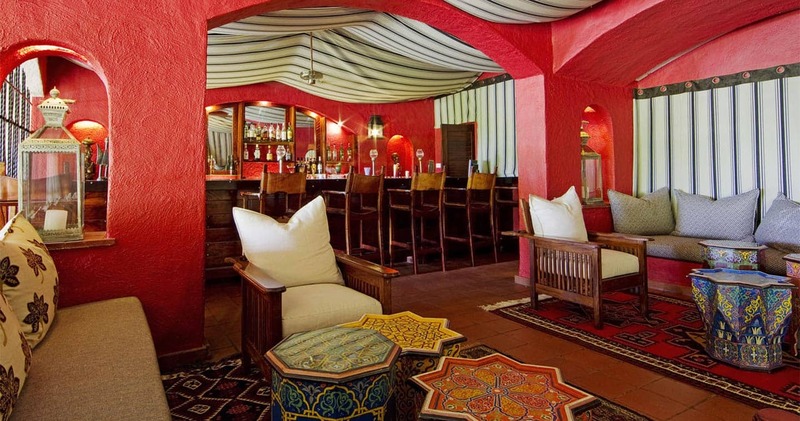 All rooms are river-facing and tastefully decorated, air conditioned with overhead fans, have en-suite bathrooms, a private terrace and complimentary minibar. The combination of your own terrace and minibar is especially priceless; unwind in private after a safari day under star-studded skies with a cold gin-tonic. 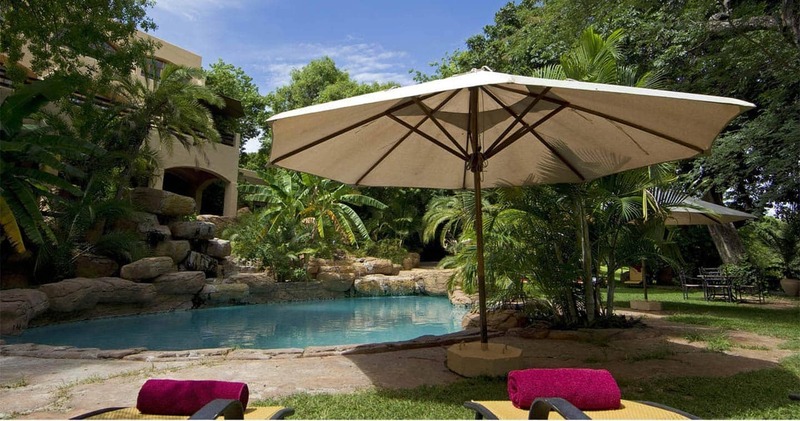 There are four, even more luxurious suites, each with their own plunge pool and separate lounge. Rooms extend on either side of the main lodge, linked by bricked footpaths. Meals exceed expectations and are served at several locations: including the open walled buffet area, the boma on a riverbank – a traditional open-air fire pit area - or on the boardwalk with broad vistas over the river. The Thwene Bar is a stylish cigar bar for sports enthusiasts: this is where you will find the only television of the entire lodge. Besides these areas, there are plenty of nooks to settle down and just gaze at the bustling river life unfolding right in front of you. Or grab a study guide and read more about all the game you saw that day. Feeling a little overwhelmed and in need of some refreshment? Jump in the large swimming pool during siesta hours. Doze off afterwards in one of the lounge chairs (and occasionally peek at the wildlife in and around the river). At Chobe Game Lodge, they make sure you will discover this beautiful part of Africa from a to z; with unlimited land and water based game viewing activities which commence in the morning, mid-morning, mid-afternoon and late afternoon. Let the guides - mostly women at this lodge - take you on a Botswana adventure. Every day starts with freshly brewed coffee or tea and a warm muffin, and then it is time to set off. Being the sole concession in Chobe National Park, nothing beats arriving in the park an hour before everyone else gets there. This is the ‘golden hour’. The bush wakes up after an exhilarating night, tracks in the mud are still wet, and the entire area is shrouded in crisp morning dew. Peace and tranquility are key words during this morning activity; gaze at an elephant family during their morning routine, look at towering giraffes collecting breakfast from a tree, or be in awe of huge buffalo herds. When returning to the lodge, your own extensive breakfast buffet awaits. Kickback on the viewing deck and watch wildlife from there, or jump on a safari boat for a mid-morning river cruise. Game viewing reaches its peak when the hot air of the afternoon draws animals to the river for refreshment. Don’t miss the river cruise with a spectacular sunset, as the icing on the cake. Or how about venturing out an hour after dark, when the bush is preparing for the night and predators come out of their hideaways? The possibilities seem almost overwhelming, but luckily all activities are included. So make sure you do everything at your own pace, just like the animals do. 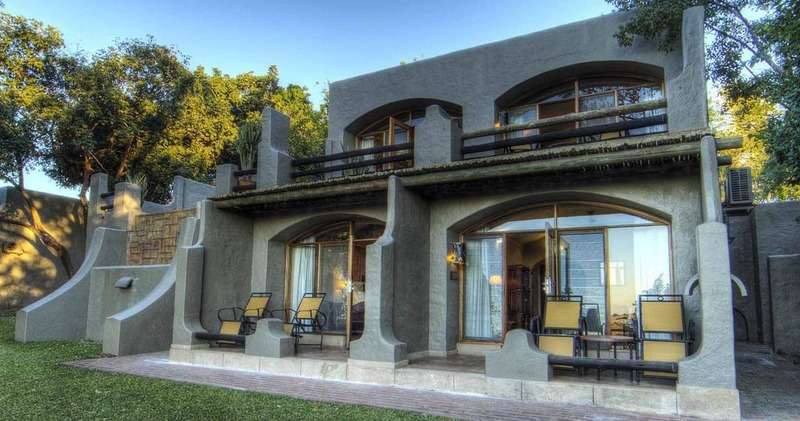 Excellent accommodation in a beautiful setting along the river where elephants, hippos and African buffalo can be viewed from the look-out. Baboons, warthogs and mongoose wandered the grounds and the game drives were wonderful. All meals were excellent too. We really enjoyed our stay. Great stay, room clean and comfortable. Staff were attentive and helpful. We enjoyed game drives on land and river, even afternoon high tea. Meals were very good. Lots of atmosphere. The room included laundry service which made packing for the return trip so much easier. I left the lodge without my kindle reader. The terrific staff and management forwarded it to my hotel in Victoria falls before I even missed it. Would definitely go again. Chobe Game Lodge was built in 1972 and evolved as an award-winning Ecotourism-Certified luxury property in one of the best game viewing areas of Africa. Please note: Indicated price is for a 'standard room', which is the most basic room available at Chobe Game Lodge. A single supplement may be applicable. Reduced rates are available when staying for five nights or more. 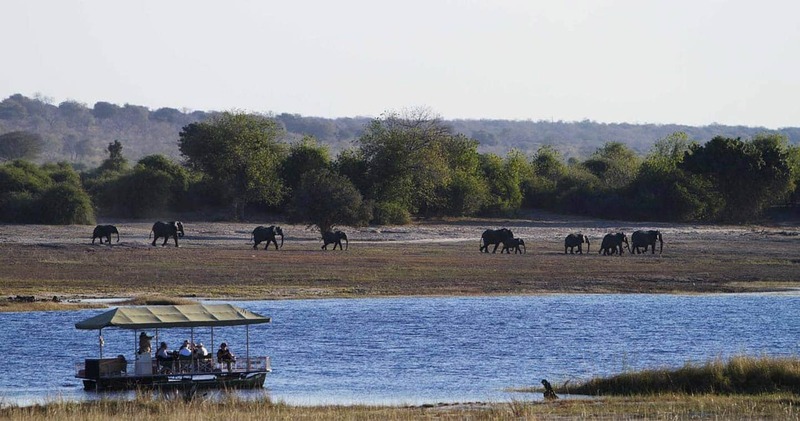 Read all about travelling to Chobe Game Lodge on our getting to Chobe page. Children of all ages are welcome at Chobe Game Lodge. Children aged 0 – 2 years pay 10%. Children aged 6 - 11 years pay 50%. Children aged 12 - 15 Years pay 75%. Children aged 16 years and older pay adult rate. Families with children younger than 6 years old must book private activities at an additional rate (subject to availability). No childcare facilities or baby-sitters are available at the camp and children must be under the care of their parents or guardians at all times. Children under the age of 16 years are to share rooms with an adult at all times. We hope you have found all information needed to decide that Chobe Game Lodge in Chobe National Park is the perfect place for your next travel adventure. Please fill in the contact form and we will get back to you soon!